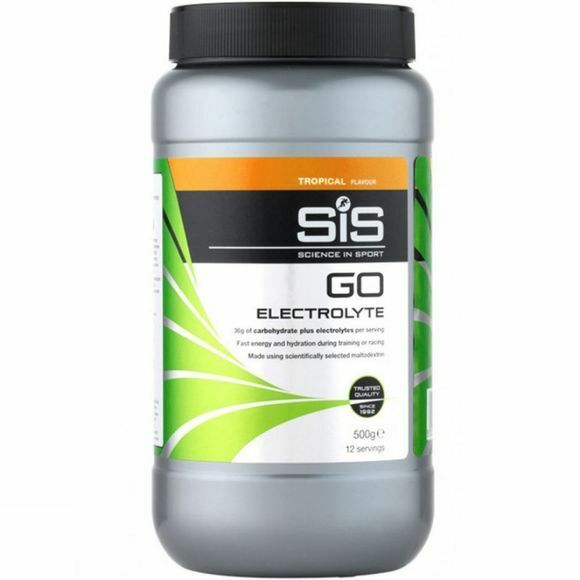 Packed with electrolytes and sweeteners, the Tropical Go Electrolyte Powder by SiS carefully balances electrolytes to enhance your body's ability to absorb water during exercise, maintain peak performance during exercise and prevent cramping. It's as light on the stomach as water, and provides fast hydration and sustained relief. Use before or during sport, or whenever you desire a hydration and energy top-up. Carbohydrate mix (92%) (maltodextrin(produced from partial hydrolyses of a special variety of maize), fructose), natural flavouring, citric acid, electrolytes (2%) (sodium chloride, calcium lactate, potassium chloride, sodium citrate, magnesium lactate), sweetener (aspartame). Contains a source of phenylalanine.